Let`s keep pampering the gentlemen with our recommendations, shall we? 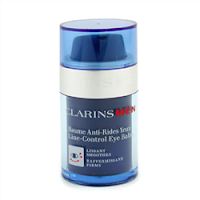 The brand Clarins offers diverse products specially formulated for men. One of these items is called Men Moisture Balm which offers non-stop hydration. It soothes razor burn and discomfort while facilitating shaving. It is suitable for all skin types. 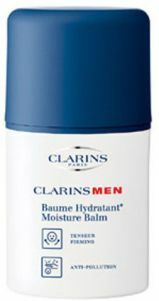 Men Revitalizing Gel by Clarins is a non-greasy gel that literally melts into the skin. It boosts radiance and it fights against stress. It refreshes the skin for a younger look and it improves skin tone. It is non-comedogenic, suitable for morning and evening use. Your sweetheart`s eyes have to keep looking young, don`t they? Well, Clarins has thought about it and has come with Men Line-Control Eye Balm is a non-greasy product for the eye area with toning and soothing effects, while diminishing puffiness and dark circles. The eye area looks smooth and youthful after this treat. Moving on to Dermalogica, their Soothing Shave Cream is a high performance product that prepares the skin for a smooth shave due to aloe vera extract, allantoin and panthenol. Enriched with yest extract, it boosts cell renewal to repair the skin. The hyaluronic acid hydrates, while antioxidants help neutralize the free radical damage. 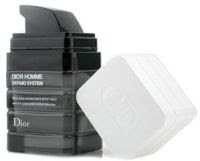 Homme Dermo System Healthy Look Moisturizing Emulsion by Christian Dior is an oil-free tanning fluid. That must definitely for metrosexuals. It rejuvenates complexion in order to gradually achieve a natural tan. Recommended for a more resilient and comfortable skin. Another great product by Dior is called Homme Dermo System Anti-Fatigue Firming Eye Serum, a fast absorbing gel for the delicate eye area which provides a lifting action, while strengthening skin tissues and tightening eyelids, therefore it is addressed to older people. It neutralizes the dark pigments while reducing under eye fat due to its Cafexyl Complex. It diminishes puffiness, leaving the eye area fresh looking.